Beyond breakfast: creating awareness for the versatility of maple syrup. To the chagrin of Canadian maple syrup producers, Americans have traditionally considered the sweet liquid more of a topping than an ingredient. Maple syrup consumption in the United States was declining along with Americans’ appetites for carb-heavy waffles and pancakes. Research showed Americans weren’t aware of the many uses of pure maple syrup as a natural sweetener or ingredient. The Federation of Quebec Maple Syrup Producers (Pure Canada Maple) – the world’s largest maple syrup producer – wanted to educate Americans about the versatility of this natural sweetener beyond breakfast and increase awareness of maple made in Canada. Pure Canada Maple turned to Padilla to create a program centered around National Maple Syrup Day, a special day of events and observances. On behalf of the Federation, Padilla partnered with Snowday – the maple-themed, NYC-based food truck – to create five new recipes showcasing the versatility of maple syrup. Those included maple grilled cheese, maple-bacon popcorn and maple-smoked pork sliders. 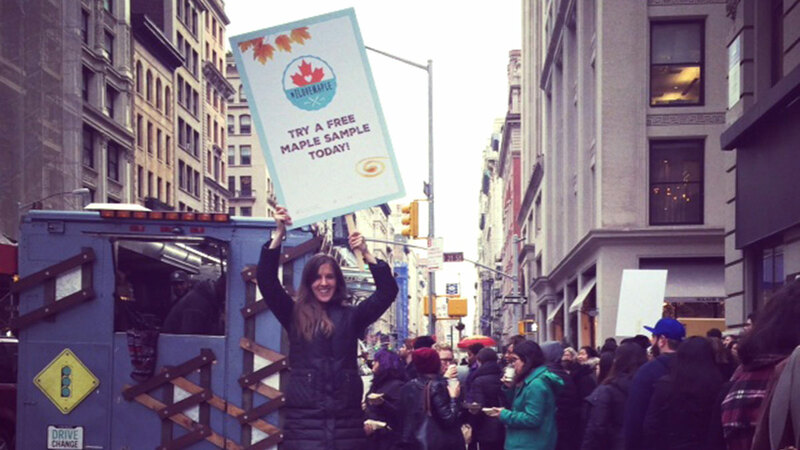 On National Maple Syrup Day, the food truck handed out free maple treats in NYC’s trendy Flatiron District. Two dozen editors received a maple-themed mailing one week prior to the food holiday, inviting them to the free sampling event. Included in the mailer was a (still warm) batch of maple-bacon popcorn. A Pinterest contest invited consumers to share their favorite of five Snowday maple recipes for a chance to win $1,000. Additionally, four Pinterest influencers were engaged to promote the product with a campaign created hashtag: #ILoveMaple. They sent updates on the food truck’s location exclusively via Twitter. Facebook and Google Ad Words initiatives also went into effect. The program exceeded all goals, with 100 percent of earned media coverage including key message points. More than 34 million impressions were secured in 11 target outlets, including the New York Daily News, Thrillist, Food & Wine, Time Out New York and amNewYork. The program drew more than 16,000 visitors to the website, with a 34 percent increase in traffic to the recipe section. During the contest period, recipes reached more than 14 million Pinterest users, and Pure Canada Maple saw a 67 percent increase in Pinterest followers.